The Wizarding World of Harry Potter got an extension beyond the original books and movies with the new film series Fantastic Beastsand Where to Find Them which features the magizoologistNewt Scamander. Icon Heroes presents this PVC figure ofNewt carrying his suitcase and wand! 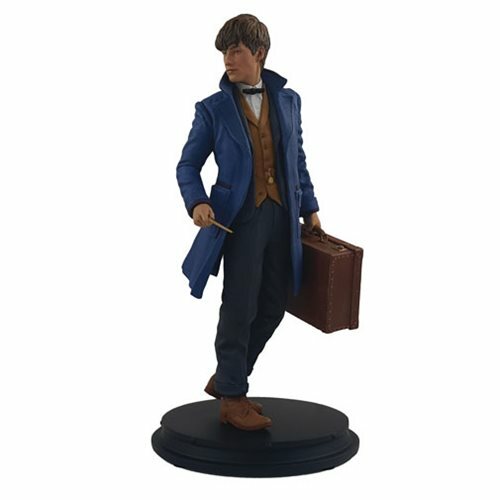 Featuring a detailedlikeness and realistic texturing, this Newt is a perfectaddition to any Harry Potter collection!